TP-link Archer MR400 is a powerful 3G/4G router from TP-Link, designed for users who need high data transfer speed in a WiFi network. This model combines support for most popular 3G and LTE mobile Internet standards with a high-speed dual-band WiFi module that supports the 802.11ac protocol. The line of TP-Link Archer wireless routers has won great popularity among users due to the low price and excellent technical characteristics. The Archer MR400 is the older model of TP-Link 3G/4G routers that is ideal for use in an office, apartment, country house, or any other place where you need to provide quick access to the mobile Internet for a large number of wireless devices. Due to the configuration of the MIMO 3x3 antennas in the 2.4 GHz band and the MIMO 2x2 in the 5 GHz band, the Archer MR400 provides a total transfer rate of up to 1350 Mbps (450 Mbps in the 2.4 GHz network and 867 Mbps in the 5 GHz). For comparison: the predecessor Archer MR200 model is limited to a speed of 300 Mbit/s in the 2.4 GHz network and 433 Mbps in the 5 GHz network. A high-performance WiFi module supports up to 64 users. 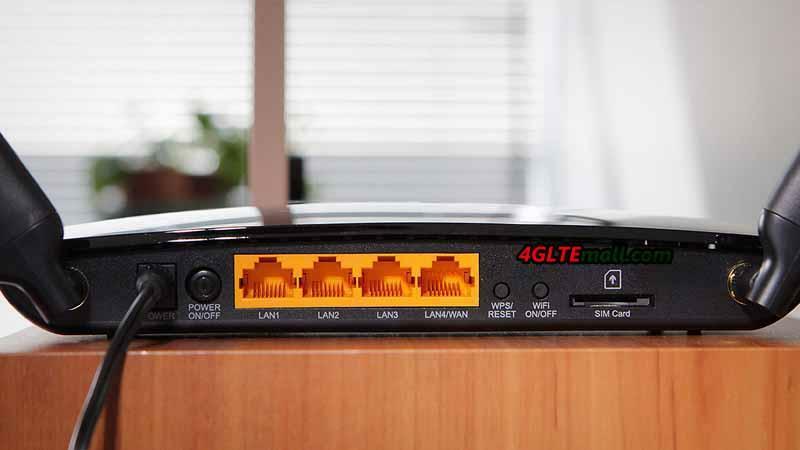 It is recommended to connect to the 2.4 GHz network equipment that does not need high speed, as well as obsolete devices that do not support the 802.11ac protocol. At the same time, it's best to connect the demanding bandwidth to the 5 GHz network: televisions, game consoles, wireless storage devices, etc. Using the innovative MU-MIMO technology allows us to unleash the full potential of the WiFi 802.11ac standard and provide the maximum data transfer rate with simultaneous connection to a network of several clients. Archer MR400 is made in a stylish black case and supports the wall mount. 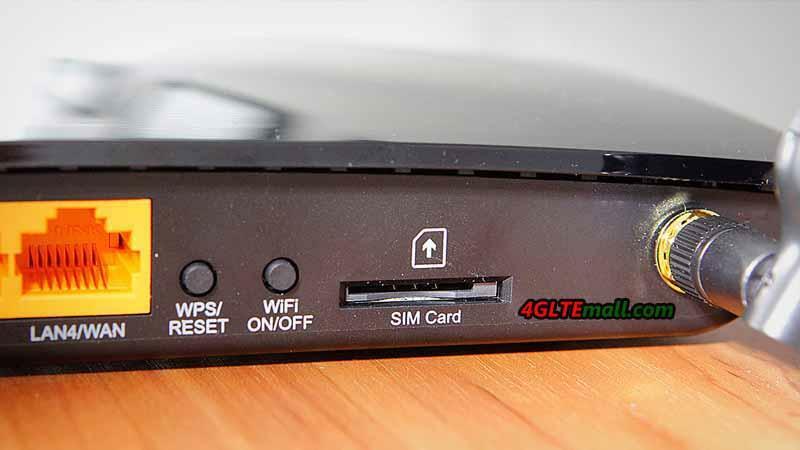 A WPS button is also available on the back of the LTE router for quick connection of WiFi devices. The TP-link router is equipped with one SIM card slot and supports all common cellular standards in Europe, including FDD-LTE in the frequency ranges of 800, 1800 and 2600 MHz, TDD-LTE in the 2600 MHz band and 3G at 900 and 2100 MHz. The maximum speed in 4G networks is 150 Mbit/s for reception and 50 Mbit/s for transmission (LTE Cat. 4). The MR400 Router also supports 2G-Internet and other broadband Internet standards used in different countries of the world. To receive a mobile signal, the kit includes two small detachable LTE antennas with a small gain. 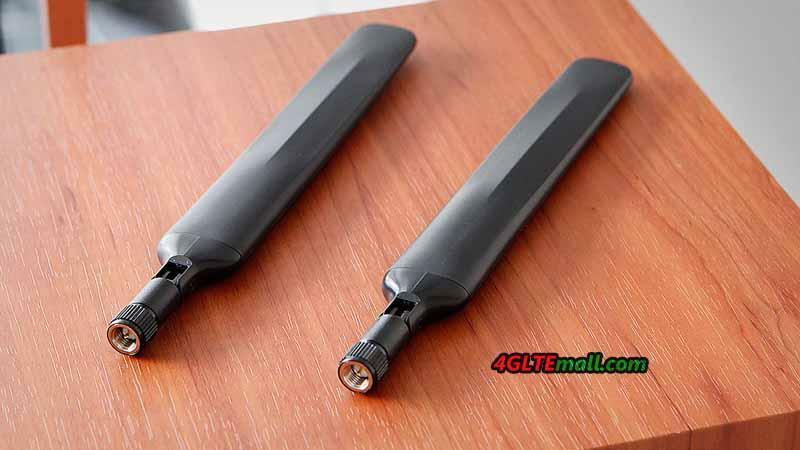 In the case of a weak or uncertain input signal, more powerful directional antennas (sold separately) can be connected through the SMA connectors to the MR400. With the router, the adapters of changing Micro to Standard or NANO to Standard are included, which allow installing a SIM card of any format into the router. In addition to the SIM card slot, there are 4 Ethernet ports (10/100 Mbps) on the rear panel: 3 LAN ports and one switchable WAN / LAN port. Thus, the router can be connected to the Internet not only through a mobile connection but also through a normal cable from the provider. The drawbacks of the model include the absence of gigabit ports, which reduces the maximum speed of data exchange between wired and wireless devices in the network. The configuration of the router is carried out via the web interface or the proprietary TP-Link Tether application. At the disposal of users, there are various settings of mobile connection and local network. The Archer MR400 administration panel contains all the parameters familiar to home routers, as well as some additional functions: two guest networks (2.4 and 5 GHz), parental control, QoS (bandwidth control), dynamic DNS (DynDNS, NO-IP), VPN (PPTP, L2TP, IPSec), NAT, IPv6, DHCP, protection against DoS attacks, filtering over IP and MAC addresses, etc. The router is very easy to manage and does not require special skills for customization. 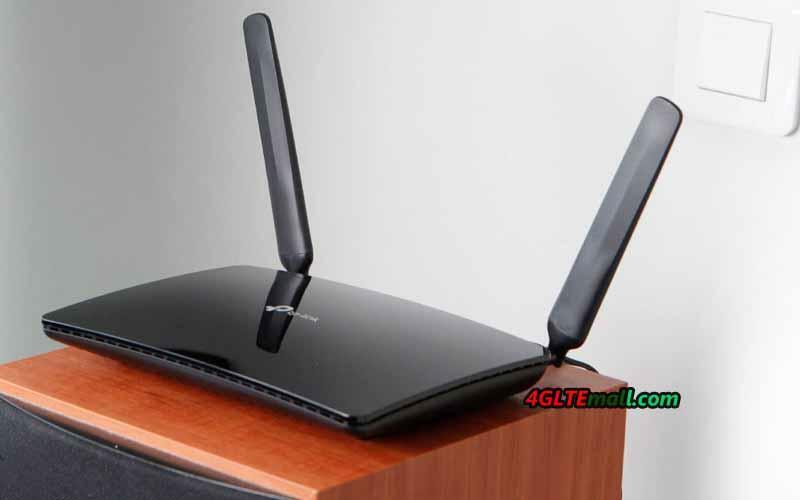 In most cases, it is enough to install a working SIM card in the router and connect it to the power network: the mobile Internet and the WiFi network will work by themselves. With the Archer MR400, you can connect a large number of wireless devices to the 3G/ 4G Internet and ensure the maximum speed of data exchange in the WiFi network.